We’ve worked with lots of great people over the years. Here’s what just a few have had to say about MiamiWholesaleHomes.net. Want to share your own experience with us? Send us a note to let us know what working with MiamiWholesaleHomes.net has been like for you. I have known Elio for many years now. He is a stand-up guy who does this business ethically and honestly, and it’s nice knowing he’s available on speed-dial when I need him. Whether you are selling a house to Elio, buying a house from Miami Wholesale Homes, or working on a deal with him, rest assured you are working with one really great guy and he will do his best to serve you well. I’ve worked with Miami Wholesale Homes since about 2012, I’ve partnered on two wholesale deals, and I’ve also purchased 4 properties from Miami Wholesale Homes. I’ve learned so much about wholesaling, closings, negotiations, contracts, and real estate investing in general on my first deal I feel it was equivalent to 5 years of experience. Miami Wholesale Homes knows the real estate market in South Florida better than anyone else, Miami Wholesale Homes is known for honest business dealings and integrity. Everything is presented honestly, good, bad and ugly. When you buy a property, you know exactly what you are getting, nothing is overblown or puffed up. Longevity in this business requires competence, honesty, and good deals that make money. Miami Wholesale Homes has all of those qualities. Miami Wholesale Homes has a great investing business because people who work with Miami Wholesale Homes or buy from Miami Wholesale Homes keep coming back. People who buy, make money, people who make money, work with you over and over again. I’ve come to know a lot of people in this industry, I’ve never run across anyone who does not know of Miami Wholesale Homes or who has anything bad at all to say. I think that really says it all. I met Elio Avrilien several years ago at my local real estate investor’s group & bought a property from him soon thereafter. It was my first “flip” & I was nervous! He told me what it needed & what he thought the profit would be & offered alot of patience, invaluable information & support. He was right on the money with all of it & a pleasure to deal with. I made a 20K profit, just like he said I would if I followed his advice. Since then, I’ve gone on to do lots of other profitable deals. Elio is very honest, helpful & forthright. If only there were more people like him in the real estate industry! I have had numerous encounters with him since then & always found him to be a great guy that I can trust. If I’m ever in search of an answer or unsure of myself or want to bounce an idea off a seasoned real estate pro, he’s one of the people I call. I would highly recommend him to fellow investors. He’s a great resource for information & someone you can count on! I live in California but invest in the Miami area, mostly because I have the help of my wholesaler, Elio Avrilien at Miami Wholesale Homes, who has more knowledge and expertise regarding his local market than any other investor or RE professional I know of. I have purchased five great deals from him in the last year and I expect to buy many more from him. He’s the kind of guy that you know immediately you can trust. He’s up-front about the needed repairs on the properties, and there are no surprises. He takes very thorough videos and pictures, so I can buy from him site-unseen and know exactly what I’m getting. I’ve scoured the Miami market online and I can’t find better deals than Elio has. I’ve also had the privilege of touring the Miami area with Elio personally and learning a lot about the Miami market, as it differs substantially from the other markets I’ve invested in. The cash flow from these properties is unprecedented, and I don’t need a mortgage company because the total prices are less than my down payments were on houses I had purchased in other markets. I give Elio and his company an A+ rating. As real estate investors, it is very important to have a network of professionals to work with. Elio and his team at Miami Wholesale Homes went above and beyond our expectations during our transaction and we got a really sweet deal on a rental. Miami Wholesale Homes has always been great to work with and very helpful. Even though they are very busy, they never have a problem staying efficient and organized. I consult with Miami Wholesale Homes several times a week, if not daily and I respect their opinion. Because of Miami Wholesale Homes’ vast knowledge in the real estate market and their pool of ready buyers, Miami Wholesale Homes can move fast. For one deal that we collaborated on, Miami Wholesale Homes was able to find a buyer in one week. Miami Wholesale Homes is a fantastic connection in this business, I would recommend their services to anyone. I found Miami Wholesale Homes and Elio Avrilien by accident on Internet and something felt good and I am so happy that I listened to my intuition. This is my first time investing and first time with Miami Wholesale Homes, and I know it will not the last one. Elio Avrilien have been very helpful and had lots and I mean lots of patience to help me, on the phone by emails and mail, as I am in California and that made his job harder. But he did make it possible and I am now the owner of a property in South Florida. Thank you Elio and every one at Miami Wholesale Homes and hopefully that next time, investing with your guidance, I can make your job easier. I have been an investor since 2001. I have bought, renovated, sold and hold many properties. 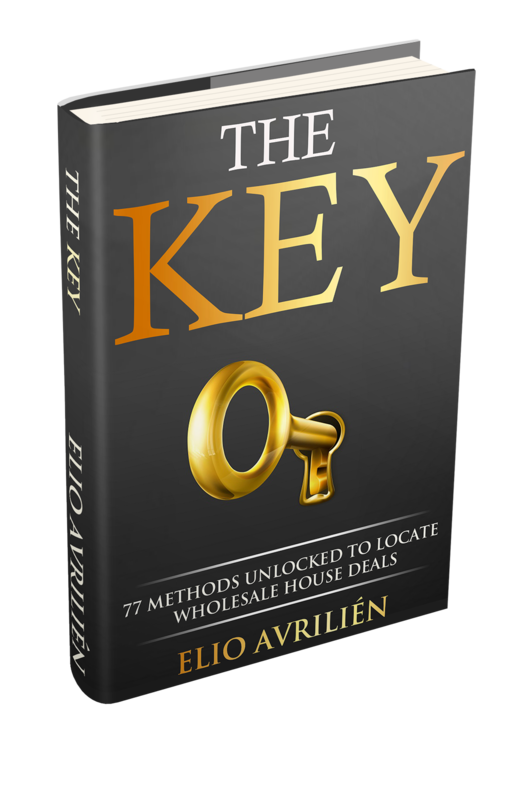 During my time as an investor I have yet to come across a better professional than Elio Avrilien at Miami Wholesale Homes. It was just by chance that I found Miami Wholesale Homes, and I was lucky to have hit solid gold. I have bought 4 properties from Miami Wholesale Homes and each one has been a winner. Elio has helped me many many times, and I am a better investor because of his knowledge and experience. Elio has been a real mentor to me over the years and has never hesitated to listen and help me with my problems. In a world with so many scams, I am fortunate to know that Miami Wholesale Homes is there and can be trusted.